The small room with its sky blue walls and strategically placed portraits depicting serene natural landscapes were designed to instill a sense of calm. It was also stocked with a wide variety of toys that helped to distract from the room’s real purpose as an observation room. The young and naive Barret was busy building lego structures. his shaved head was covered with wireless electrodes that transmitted a digital model of his brain as it worked in real time to a hidden team of specialists tucked away in the next room. Besides the equipment that gave them a window into the electrochemical machinations of the boy's psyche, they were also closely watching him from several cameras hidden around the room that were specially equipped to monitor subtle changes in his facial expressions and body language. The cadre of doctors and technicians were joined by Barret’s parents who had gone to great lengths to attain their services but were still ultimately unsure about what they’d subjected their only son too. The time had come to see if their gamble had paid off. Dr. Herzog, the charismatic and icy logical medical theorist, was busy setting the stage for this final test with the same showmanship a magician builds up to a grand finale. “Conditioning can accomplish a lot but thanks to breakthroughs in our understanding of neurology there is no need to take such a long and uncertain road,” Herzog calmly explained. “What we’ve done is develop a process that lifts the veil of mystery from the psyche and gives us something that’s perfectly malleable,” He concluded in wild-eyed triumph. “We’re just so grateful you agreed to help Barret,” said Barret’s mom slightly choked up. “Yeah, we really do appreciate everything Dr. Herzog this is going to give him a real leg up,” his father concurred. Everyone turned their attention to the monitor. Barret looked up from his rising Lego tower. “Hello Barret I’m Doctor Sabatini,” the short, middle-aged woman introduced herself affectionately. “Hi,” said Barret before returning his attention to the Legos. She was followed into the room by an orderly pushing a metal cart, a small plexiglass cage with a puppy sat on top. Dr. Sabitini took a seat across from Barret the orderly wheel over the cart and the puppy and left the room. “How are you feeling today?” Asked he, doctor. “Good, good. What are you building?” She asked. “A tower,” said Barret matter of factly. “Hi Spot,” Barret said glancing up from his Legos. “You know what Spot really likes is candy. Do you like Candy Barret? “What’s your favorite kind of candy?” She asked. “Twix!” Barret said showing considerably more interest in the conversation. “Sure,” Barrett eagerly replied. He got up and walked over to the miniature plastic cell and looked back at the doctor for further direction. “Oh there’s a little handle on the side just slide it shut,” she instructed. Barret did as he was told and all the air holes were sealed. Everyone was crowded around the monitors waiting in silent anticipation for Barret’s response. The observers applauded. Some even embraced each other as they celebrated their latest breakthrough success. Barret’s dad breathed a sigh of relief and put his arm around his wife. "Wait wait just a second," Herzog said silencing the room. 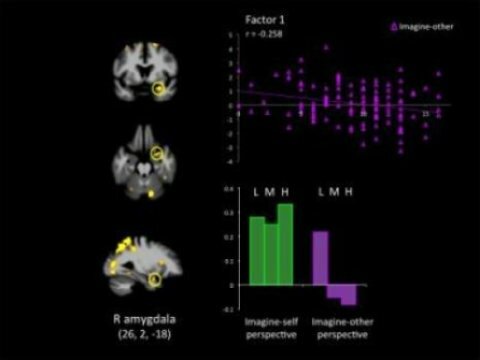 "What does the fMRI say?" "No response in the amygdala!" The technician happily announced and the celebration resumed this time with Herzog's blessing. “Thank God,” said Barret’s mother thoroughly relieved. “Thank you, doctor, you really came through for us,” Barret’s father said extending his hand. “When it comes to the question of nature versus nurture we no longer have to just accept our so-called nature as being unalterable. The defects in Barret that cause him to feel for the weak have been excised now there’s just a boy built to succeed,” declared Doctor Herzog. They looked back at the screen just in time to see Barret take a big bite of his Twix bar next to the corpse of the helpless little hound. The Preferred Term Is "Limited Existence"